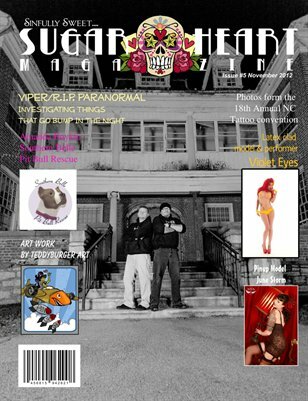 Sugar Heart Magazine Showcasing today's best Alternative pinup and burlesque models, Tattoos, pulp fiction, art, vintage and sub culture life styles. Stop by today for something sinfully sweet 100% of our profits go to pit bull rescue and pit bull outreach organizations. Our mission is to donate to the rehabilitation, rescue and breed education of pit bull type dogs though the profits of this publication.